CD Rewritable Discs offer the performance and stability of CD Recordable media and the flexibility to add to or overwrite their music, data or images. Rewrite data, images or audio files up to 1,000 times and play back in multi-read CD and DVD drives. 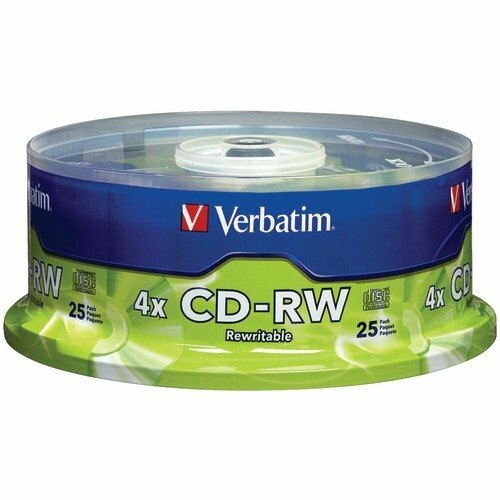 CD-RWs with 4X speed hold up to 700MB or 80 minutes of CD-quality storage capacity and are compatible with CD-RW drives up to 12X speed. If you have any questions about this product by Ver.22, contact us by completing and submitting the form below. If you are looking for a specif part number, please include it with your message.